It may be a small Spanish island in the Mediterrean Sea but Ibiza has a big reputation as the place to party. Yet you could show off your moves at the pulsating clubs at night but then wake up the next day to the sound of bird song, the view of pretty flowers and gardens and the shimmering blue waters of a swimming pool at the self-catering Villa Can Rei. This plush five-bedroom villa (sleeps 11) is ideally located too. It is tucked away in the tranquil, rural area of San Jordi, which happens to be the closest village to the airport – a mere 10-minute drive. And as night draws in, you could head back to Ibiza Town and the action at Playa d’en Bossa within 15 minutes. 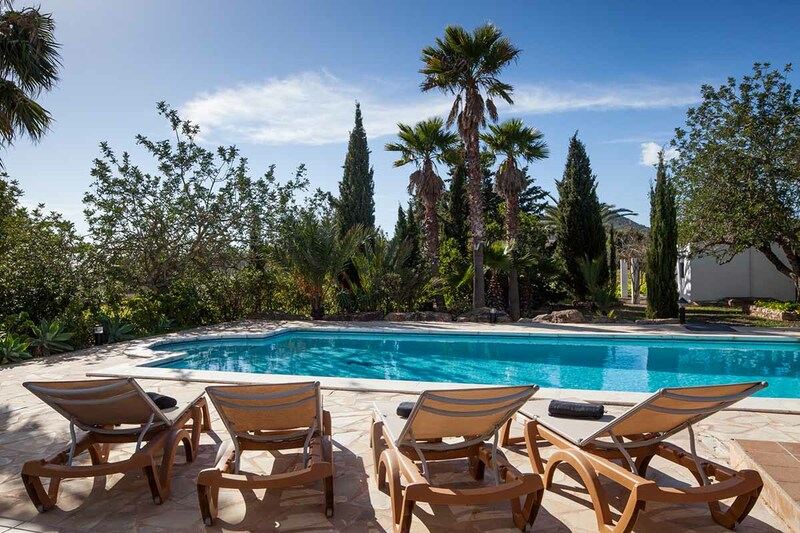 Sleeping up to eleven people, Villa Can Rei is ideal for holidaying with the extended family or a group of friends. It’s large pool area with several sunbeds, a substantial BBQ area and large alfresco dining table means celebrating a special anniversary or birthday or even a stag or hen do is easy. The first floor features two double bedrooms overlooking the pool and two twin bedrooms with their own private balconies. All the rooms are spacious, clean, with comfortable bedding and air-conditioning. The master bedroom is ensuite and has its own walk-in wardrobe and safe. On the ground floor, there is also one single bedroom and a sofa bed. The living and the dining rooms take up much of the ground floor alongside a fully-equipped kitchen. There is another living room on the first floor. 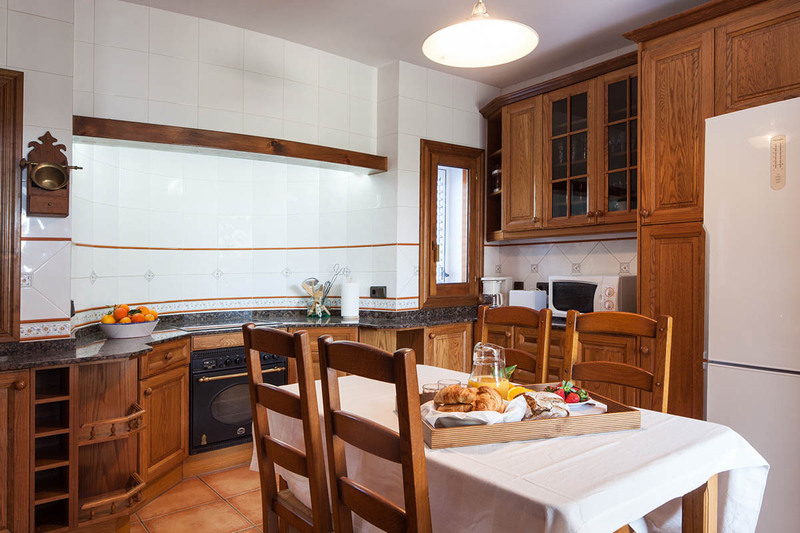 The kitchen is fully-equipped including a microwave, oven, fridge/freezer, toaster and a coffee machine with doors that lead to the patio and the barbecue area. Newcomers are greeted with food hamper with fresh bread, olive and meet pates, chorizo, cheeze, fruit, bottle of red wine, and bottles of still and sparkling water. Can Rei features a large swimming pool, surrounded by a sundeck and plenty of sunloungers. The pool is lit, ideal for a dip on a hot summer night. The living room is equipped with a TV, DVD, hi-fi and an iPod adaptor and Wi Fi. All linen and towels are provided and there is air conditioning throughout. Being the third smallest of the four Balearic Islands, any point in Ibiza is within maximum one hour drive. 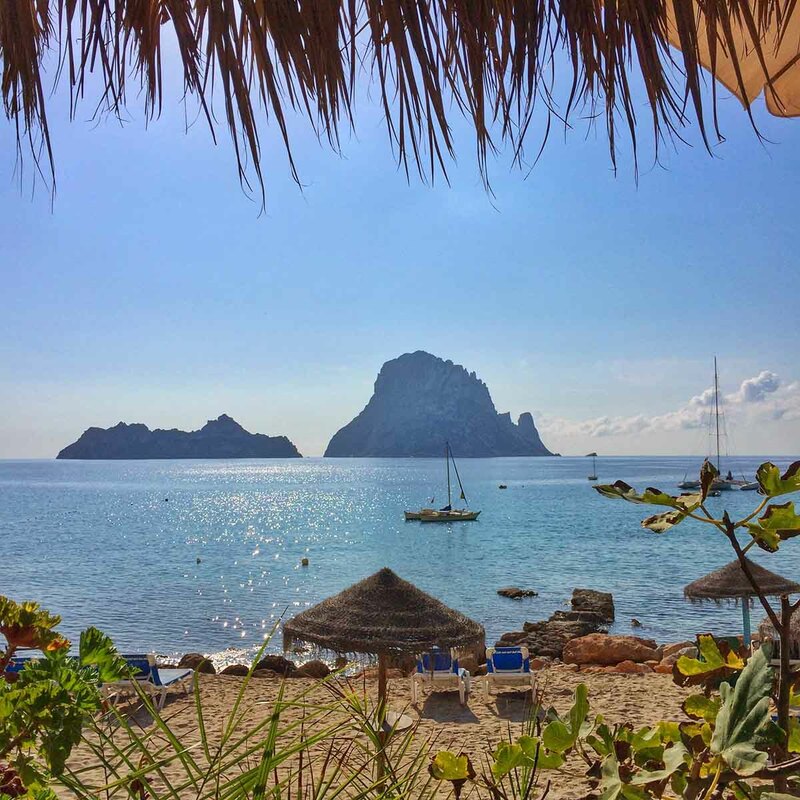 Don’t miss the UNESCO-enlisted Ibiza Town and it’s old town, Dalt Vila; idylic beaches such as Cala Martina, Cala d’Hort or Cala Bassa; evening stroll/dinner in San Antonio or Santa Eulalia; and a visit to the Hippy Market or the Can Marçà Caves. Yes, throughout the villa. Due to thick walls, there is limited WiFi signal in the pool and barbecue areas. Car hire is essential if you are staying at Villa Can Rei. We rented one from Europcar at Ibiza Airport and the representatives from Ibiza Summer Villas were waiting for us at the airport to accompany us to the villa. The villa is less than 10 minutes drive from the airport.